Indoor Experts is Your Licensed Heating & Air Service Contractors serving metro Atlanta and surrounding areas. One of Atlanta's Best Air Conditioning Repair Services. Our A/C Repair comes with our promise to fix it right the first time. We are trained and licenced to service and repair all A/C brands. You will receive our 5 Star Guarantee Service from one of our Expert Service Pros. Have an A/C problem? Not sure what it is? Let us come evaluate your system today. 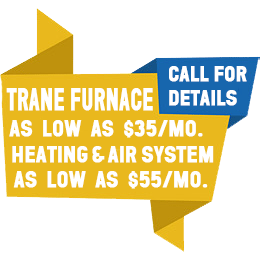 Save money on energy costs with a high-efficiency heating and cooling system. We are a proud Lennox Premium Equipment Dealer. If your system is getting older and not quite working as well as it used to, it might be time. We will work with you to find the right solution for your property and indoor environmental needs. So contact us today for a free review. Turn to One of Atlatna's Best Heating Repair Services. When it is cold outside you ant your family to have a warm safe place to come home to. We willl make sure that your home is comfy for you and your family. Our Expert Service Pros will provide you with our 5 Star Guaranteed Service. So, if your heating system is blowing cold or just not as warm as usual give us a call. Having a scheduled HVAC inspection maximizes efficiency and system longevity. Smart technology canput you in control of your home emvironment even when away from home. We can help you improve the air quality inside your home. Cleaner, Better Living.